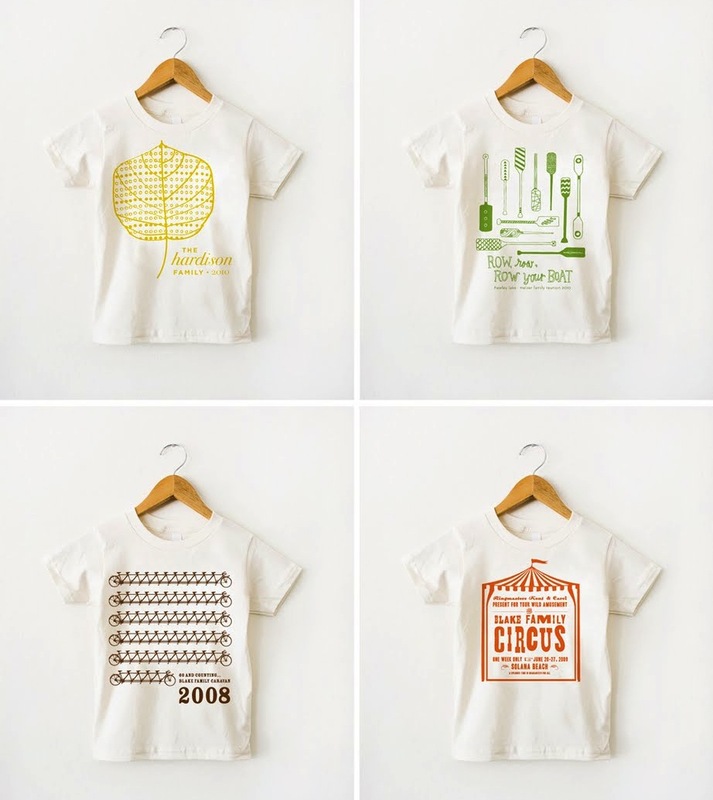 These family reunion shirts designed by Angela for her new clever concept store Kin are awesome! Customize one of her sweet designs here. This is a great idea! I remember we had shirts for our family reunions that were so un-creative and lazy looking. These are fabulous and I wouldn't be embarrassed to wear them! Haha! These are so cute! I want one in my size!! who knew family reunion t-shirts could be so adorable? wonderful designs! Fantastic idea, I love the customizable! These are fabulous - most family reunion shirts are so cheesy you never wear them again after the trip home. . .Thanks!